The new IG3500E inverter generator lets you bring power wherever you go — from tailgating parties to fishing and camping trips and beyond. 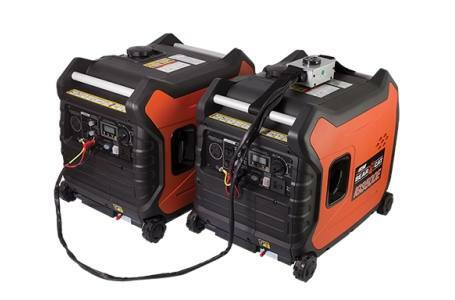 Plus, parallel capability means you can combine two generators for nearly double the power - without sacrificing portability. Inverter generators utilize a different type of alternator than standard generators to generate AC power. The power produced is converted from DC to AC by a computer-controlled inverter module. 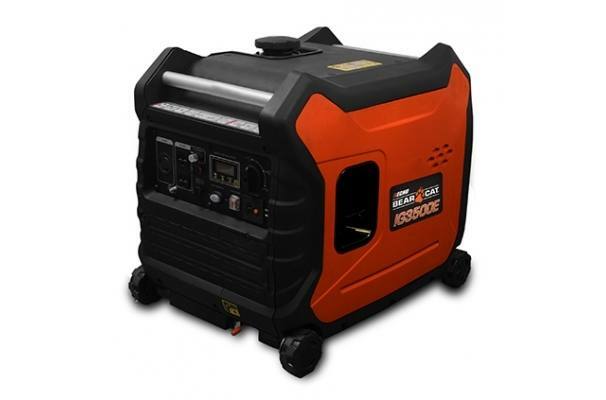 The engine speed varies depending on the electrical demand, which significantly reduces noise and fuel consumption compared to standard portable generators. The end result is a portable generator with reduced weight and size but, power that is ultra-clean and capable of safely charging your sensitive electronics.